Cropping a photo is a basic photo editing step. It strengthens the composition by allowing you to remove unnecessary space. 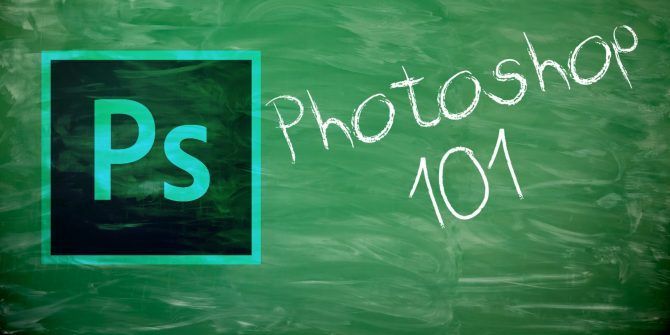 Photoshop has a powerful Crop tool that not only removes but also straightens an askew photo. It is automatic and it can work on multiple photos at once. You can put this feature to use when you bring scanned photos into Photoshop or when you want to align the horizon in a straight line. Let’s try this with an everyday use-case you’ll come across at least once in your Photoshop journey. Imagine you are trying to digitize old photos from your film camera days. You have an album full of them and a scanner at your disposal. Scan multiple images at once and bring them into Photoshop. Make sure they don’t overlap on the scanner’s platform. As the example above shows, several photos are part of one single digitally scanned image. You can separate each of them by drawing a selection and then copying them into separate Photoshop images. There’s an easier way with the automatic crop and straighten tool. Go to File > Choose Automate > Crop and Straighten Photos. Photoshop handles this as a batch process. You don’t have to select anything manually. It recognizes the scanned image and automatically crops, straightens, and separates each photo into its individual image. The process may not return perfect results every time. Some photos may still be slightly crooked or you might spot a bit of whitespace around the edges. But it is still one of the best ways to manage multiple photos at once. Remember, Photoshop can also straighten a single photo while cropping. There are other options like the Content-Aware Fill on Crop to finetune the final images. Then, you can easily use Adobe Lightroom to batch edit those old scanned photos How to Batch Edit Photos Quickly Using Lightroom How to Batch Edit Photos Quickly Using Lightroom Batch editing photos saves tons of time when you need to edit multiple photos. Here's how to batch edit in Lightroom the easy way. Read More and boost them further.